Extending some 2,300km from the Gulf of Papua almost to Bundaberg on Queensland's central coast, this natural wonder is the world's largest complex of coral reefs and cays. 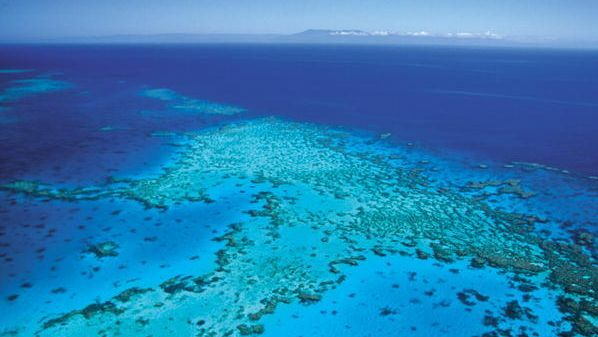 The Great Barrier Reef was World Heritage Listed in 1981. In 1975, the Government of Australia enacted the Great Barrier Reef Marine Park Act 1975, which created the Great Barrier Reef Marine Park Authority. The Government of Australia manages the reef through the Great Barrier Reef Marine Park Authority and in partnership with the Government of Queensland, to ensure that it is widely understood and used in a sustainable manner. 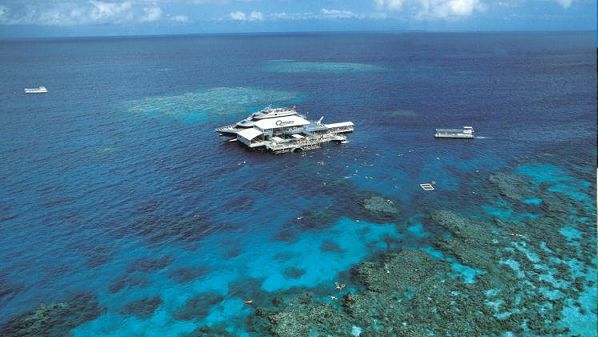 The Great Barrier Reef - the world's largest World Heritage Area is made up of some 2,800 individual reefs. 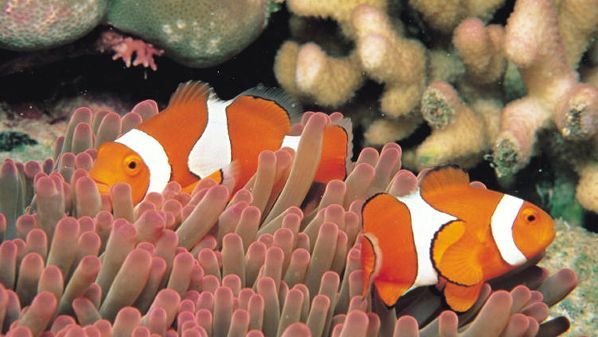 The Great Barrier Reef is home to an estimated 1,500 species of fish, more than 700 species of hard, reef-building corals and sponges and over 4,000 mollusc species, as well as whales, dugongs, turtles and dolphins. From above, the Great Barrier Reef looks like a swirl of blues. Turquoise channels snake between sapphire coral gardens towards the foam-edged indigo where the reefs end and the continental shelf plunges 1,500m. There are other blues under the water, and reds, yellows, purples, greens, oranges and pinks too, sometimes all on one fish. 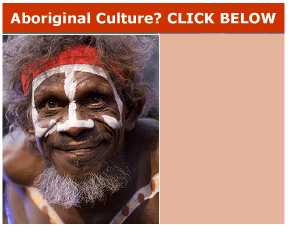 There is a diverse range of recreational activities on the Great Barrier Reef. 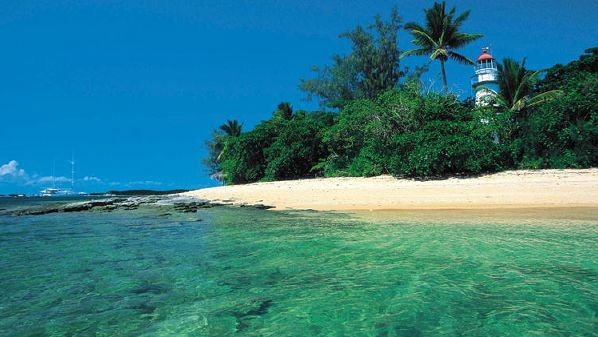 These include: fishing , diving and snorkelling, yachting and boating , motorised water sports, sea kayaking and windsurfing, photography, and shell collecting. 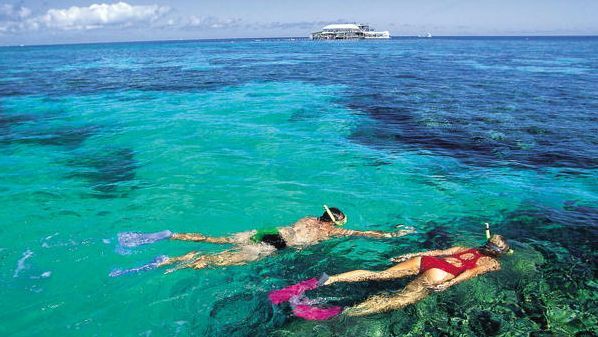 Recreational use of the Marine Park is concentrated around major regional centres along the Queensland coast with many operators offering diving, sailing snorkelling and extended charter tours of the Great Barrier Reef.